Here at HNH, we're always on the lookout for ways to make your job easier. This includes finding programs and offerings that align with your interests to help you grow and succeed. We take the time to investigate and test what we promote. That's why we've had an in-depth look at all the offers below to make sure that you will find value in them! Disclosure: some of the links below are affiliate links, meaning that, at no additional cost to you, we will earn a commission if you click through and make a purchase. Out of all the business programs we've had the chance to take and/or review, this is by far the most well delivered and structured program. The content, the videos, the handouts, and all the other features of this program are of the highest quality. We highly recommend the Joyous Health Business Program for all new nutrition practitioners! If you are looking for a comprehensive course on how to run client sessions, look no further! Stephanie Long has thought of everything from how to attract clients, how to structure the intake process, how to setup follow-up sessions and how to bill clients effectively. She also includes additional resources that will help you run your business smoothly and save you time with the perfect solutions. After this course, you will have the confidence to help your client from start to finish. Lynne uses TCL every single day for her meal prep business. 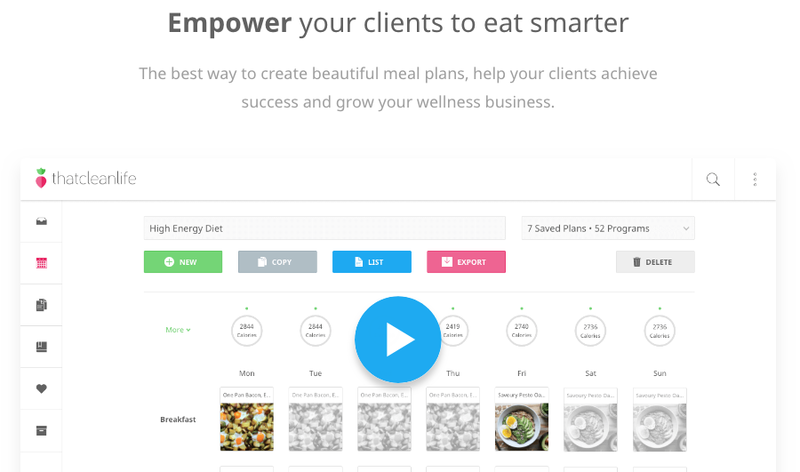 If you provide meal plans to your clients, this is a huge time saver. If you feel like you need support and mentoring to get started, this program is made for you. Sherry's mindful and step-by-step approach to business is refreshing and truly stands out! Free options such as Mailchimp are great when you're just starting out. But one you have multiple freebies, different opt-in forms and some serious email marketing goals, you'll need something more robust. ConvertKit is what we use at HNH and we're very pleased with it! Click the image below to request a free Demo. Having an online presence is imperative, but creating all the images for your social media channels from scratch is a tedious task. Healthinomics makes your job easy with brandable images that are tailored to your audience. Start by downloading this FREE bundle of 10 images for your social media! Bonjoro is a fantastic service that allows you to send personalized video messages to prospects and clients in seconds. By recording a short video, you provide a personal touch to all your exchanges which allows you to harness the power of human connection while saving precious time. Did you take a program that you really enjoyed? Let us know about it! Take on more clients, save time, and deliver results.